Adding page numbers to the word document is the same as adding page borders that we discuss in the previous document adding or removing page borders. 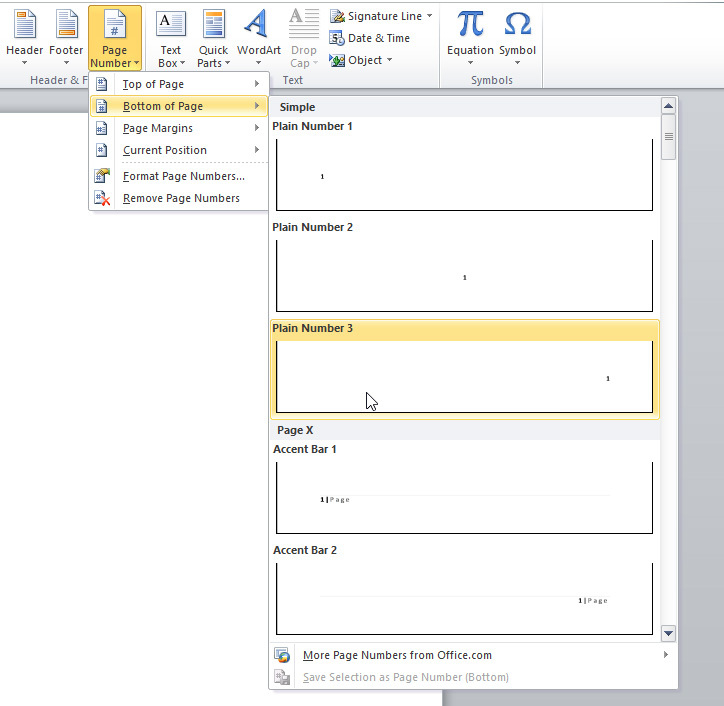 We will show you how to add page numbers in a few clicks of your mouse, follow the steps. 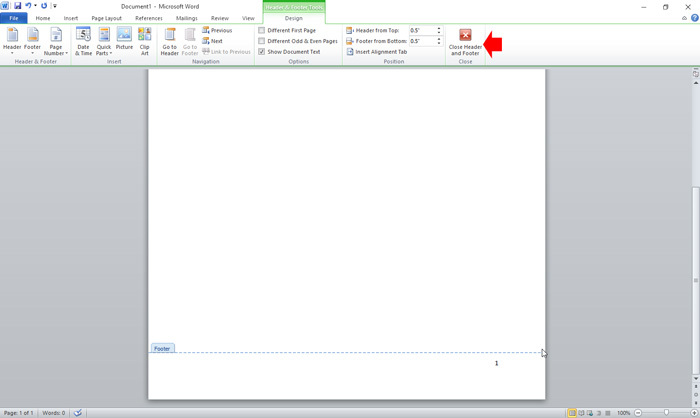 While your document is open, go to “Insert” tab in the Ribbon and select “Page Number” in the header and footer group. 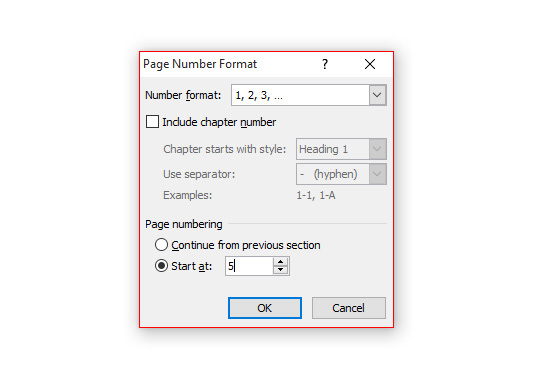 Clicking the “Page Number” control will reveal the drop down menu where you can select the position, margins and format of the page number. To add page number select where you want the number to appear, in this sample, we want the page number to appear at the bottom right of the page. After selecting the location, it will add the number to the position you selected, it will also automatically increment if it adds another page, click “Close Header and Footer” to focus on the document. In the page number format window that appear, you can select the number format, if you want roman numbers or letters. You can also set the page numbering from what number to start, don’t forget to click “Ok” to apply the changes that you made. See the screenshot. If you want to remove the page number in the document, also the same control when adding, go to Insert > Page Number > Remove Page Numbers. It will automatically remove all the page number in the whole document.